Wake up in the traditional and grand Ty Newydd Country Hotel and start the day with a full Welsh breakfast, which you can enjoy while admiring the views of the Welsh countryside from the conservatory. From there, it’s a short drive (you’ll need a car if you’re to see a lot of the park since there isn’t much in the way of public transport) to the tiny village of Ystradfellte which makes a great base from which you can explore. For example, there’s a nearby circular walk which brings you to magical woodland, caves and spectacular waterfalls. In fact, the area is nicknamed Waterfall Country, because there are so many waterfalls, thanks to the rivers Mellte, Hepste and Nedd Fechan which all weave through the woodland. 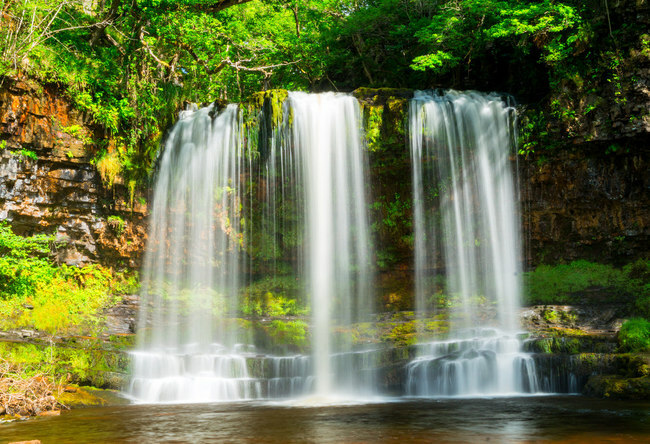 The most famous waterfall is Sgwd-y-Eira (meaning the Snow Waterfall), where a path leads right behind the falling water. After your nature walk, head for some food and a pint at the Red Lion Inn in Penderyn which combines fine dining with an old country pub feel. It’s famous for its top-quality Welsh dishes made with local ingredients. To take the pace down a little, you could go on a tasting of award-winning Welsh whisky at Penderyn Distillery. Have an intimate hour-long guided tour around the distillery, which willing include the mill and mash tun; hear the history and discover the process of how the whisky is made. At the end, sample the produce in the Tasting Bar. 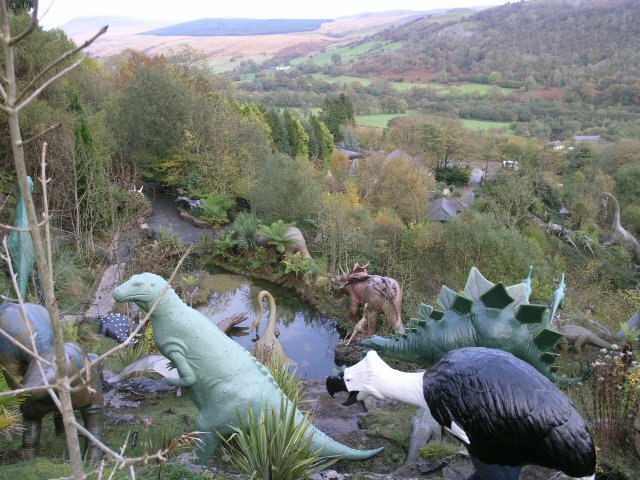 How about spending a few hours at the National Showcaves Centre. Here, you can discover an underground cave network – a surreal world with strange rock formations – or stay above ground and go dinosaur spotting at the Dinosaur Park, which has over 200 life-sized models. When you’re ready for dinner drive over to Felin Fach Griffin for roundly applauded food. Named Dining Pub of the Year for Wales, this is the only restaurant in Wales to be given a Bib Gourmand, an award for ‘good value, good quality cooking’. An example dish from the supper menu is the ‘cod, creamed leeks, crab, cauliflower, liliput capers’. If you’re not completely exhausted, another top highlight of the park is its star gazing. The whole area is a designated International Dark Sky Reserve, meaning the stars and constellations are crystal clear thanks to exceptionally low light pollution levels. It was awarded the Dark Sky Reserve status in 2012, making it the fifth destination in the world and the first in Wales. One good spot to set up your telescope and enjoy the skies is the visitor centre, but any secluded spot away from street lights will do. And you don’t even need a telescope to marvel at the astral display.